Tide Graph Pro isn't just an upgrade. 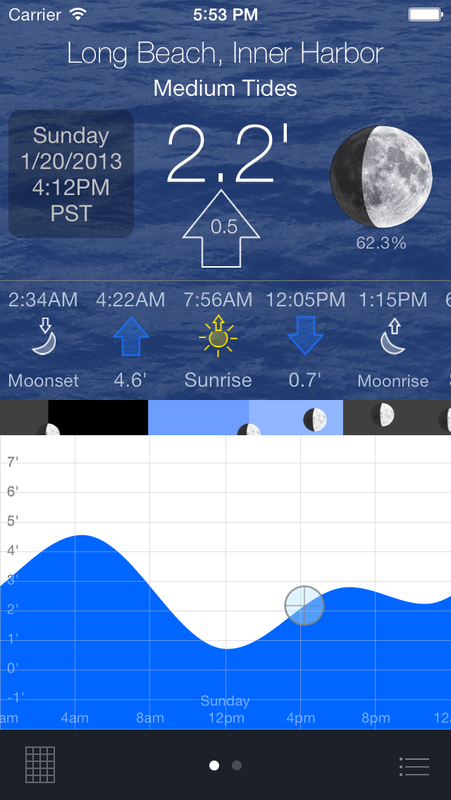 It's a completely new app with it's own tide prediction engine built right in. No need to connect to the internet anymore. No need to download tide data. It just works and it works fast. Now has 3000 new water current locations at various depths! Highly optimized tide prediction software.